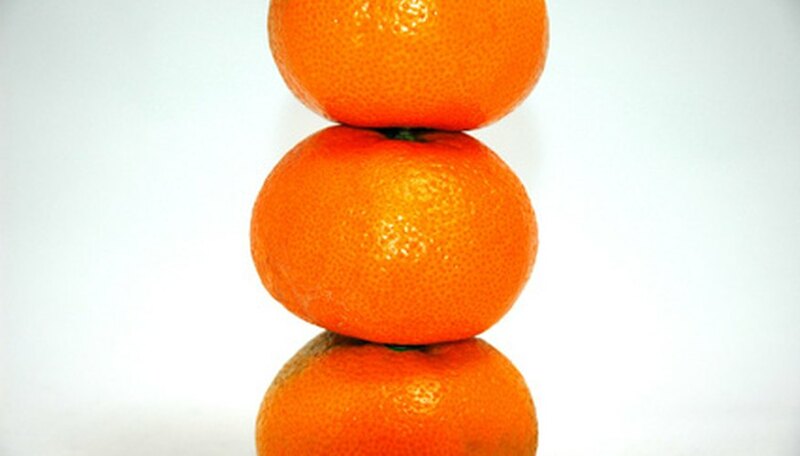 Satsuma oranges are small citrus fruits that are not actually true oranges. A satsuma is the approximate size and shape of a tangerine, but slightly sweeter. According to Dr. Jerry Parsons, retired professor and extension horticulturalist from Texas, satsuma trees grow to heights of up to 15 to 20 feet tall. Although citrus trees do not require pruning, he suggests pruning satsuma trees to keep them more manageable. Trim the tree to a height at which you can easily harvest. Unreachable satsumas rot on the tree, attract pests, and eventually drop off the tree in a mushy, rotten mess. If the trunk of the tree is too thick to cut through with gardening shears, use a hacksaw to cut the top of the trunk off. Cut off thin, spindly branches. Weak branches sap the tree of energy that could be spent on stronger fruit-bearing branches. Cut back long branches that extend beyond or below the tree's natural shape. Give the satsuma tree a nice, full, rounded shape. Cut off any branches that have curled leaves. Curled leaves are an indication of leaf miners. Leaf miners do not kill satsuma trees, but they affect the fruit yield if left to affect the rest of the tree. Don a long-sleeved shirt and gardening gloves before you approach the satsuma tree to prune it. Satsuma trees have sharp, thick thorns that scratch and pierce the skin.